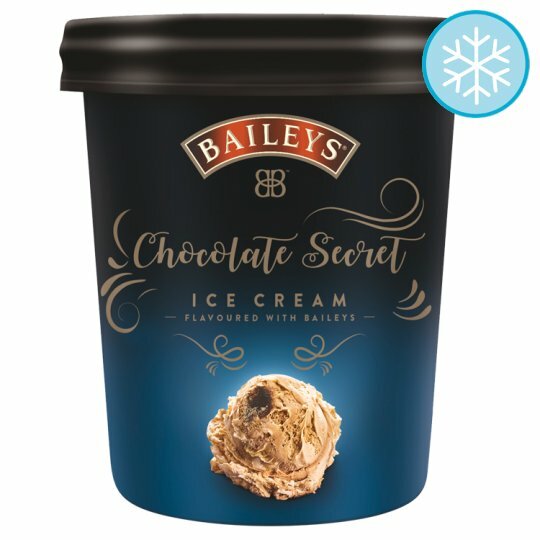 Dairy ice cream with cream preparation with chocolate flavour and alcohol and bourbon vanilla flavoured dairy ice cream with chocolate sauce (13 %). This product is intended for purchase and enjoyment by people of legal purchase age for alcohol beverages. Please remember to drink Baileys responsibly.